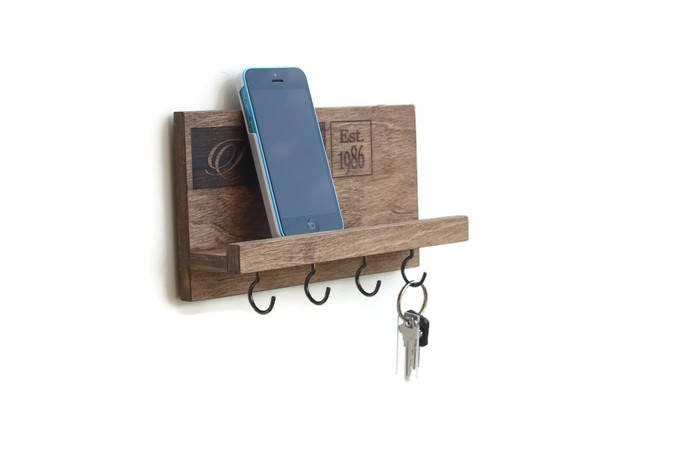 Personalized, compact and functional, our handcrafted entryway key rack features a floating shelf perfect for storing phones, mail and other items essential to daily living. 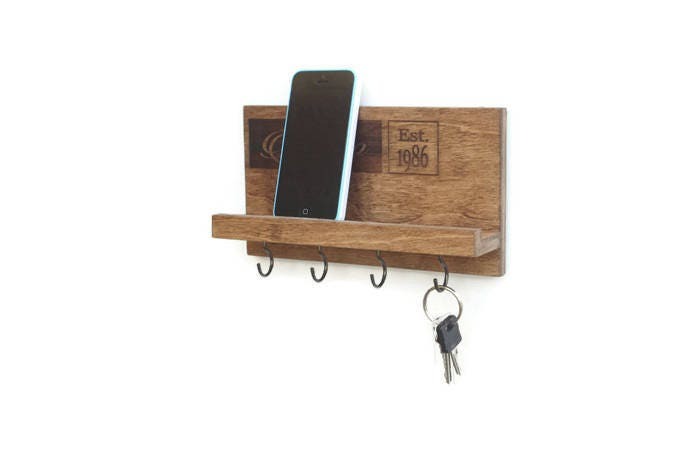 A series of four key hooks creates an excellent space to hang keys, lanyards and dog leashes. 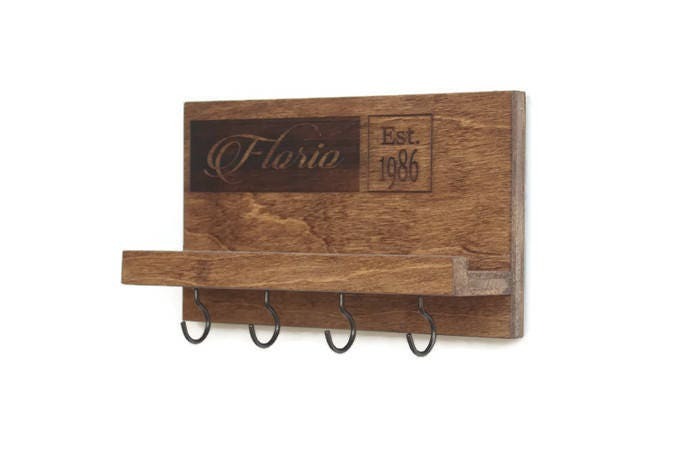 This product also works great as a jewelry organizer for hanging necklaces, watches, bracelets and displaying other small items. 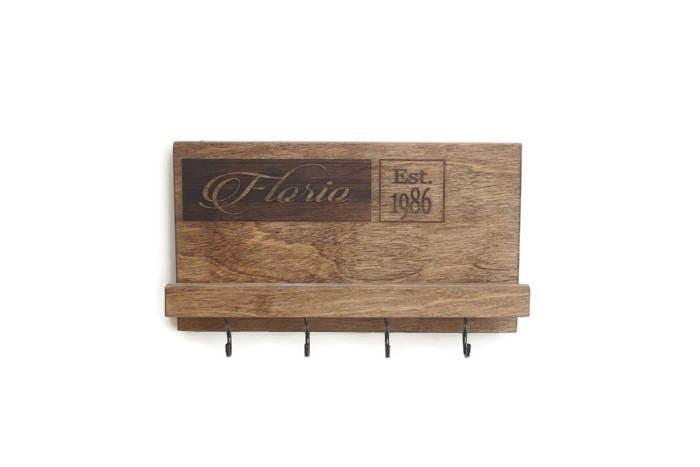 With a personalized name and date, this keepsake makes a great wedding gift or housewarming surprise! 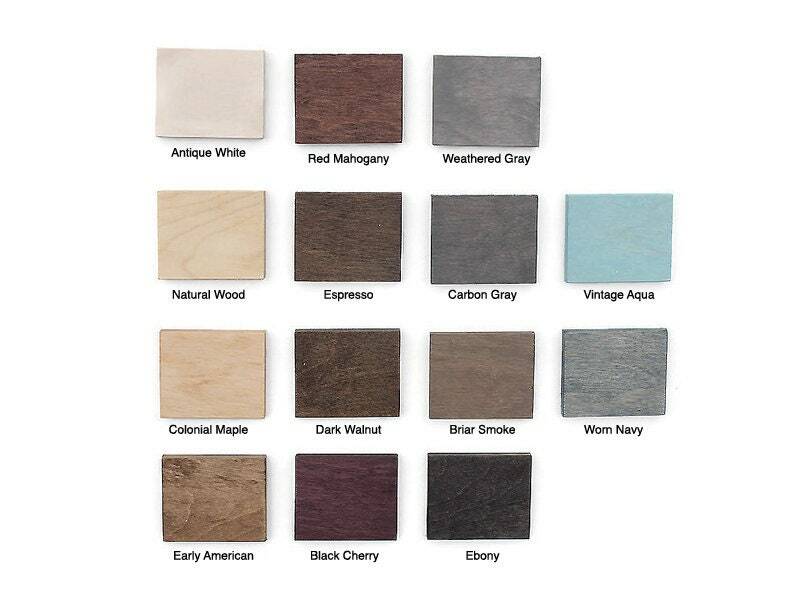 • Color: Please select choice of stain from drop down menu and color swatch image (pictured here in Early American stain). Item is finished with a modern matte clear coat. *Please feel free to convo us about custom orders and colors. 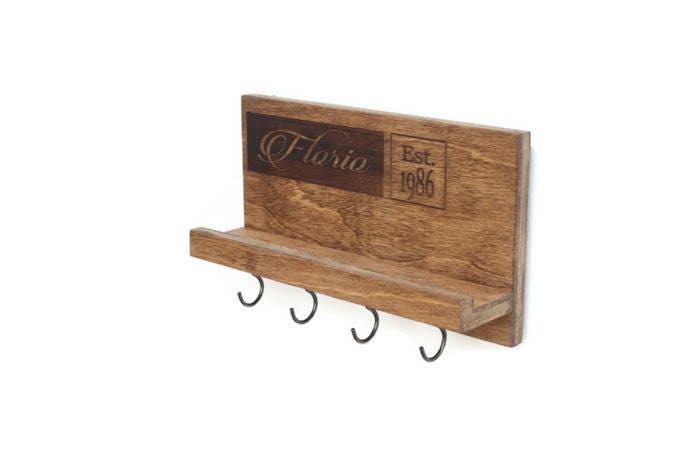 We love creating individual items for our customers, and a typical turnaround time is 7-10 business days. 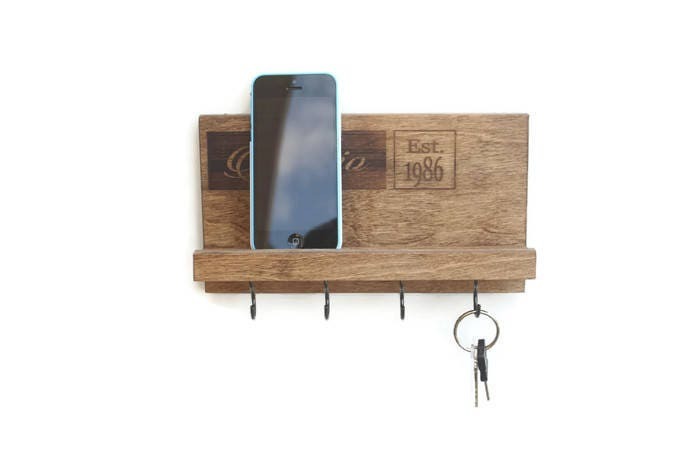 If you see an item you love but would like a different size, please contact us about customization and pricing.